Edea starts with the skater. We think about what the skater needs and not how a skate is made. This liberates our designers to think about what makes the perfect boot rather than how we can make old fashioned boots better. By focusing on skater needs our boots deliver the ultimate skating performance. This innovation requires creative thinking and the great design requires stylish thinking. To implement this innovation and design requires hard work. Our love for skating translates this hard work into a passion and it is these three elements; passion, innovation and design that combine to create Edea Skates. Uppermost in our minds is lightness. Lightness isn’t a state of mind it is a matter of weight. Edea boots are designed to be lighter. 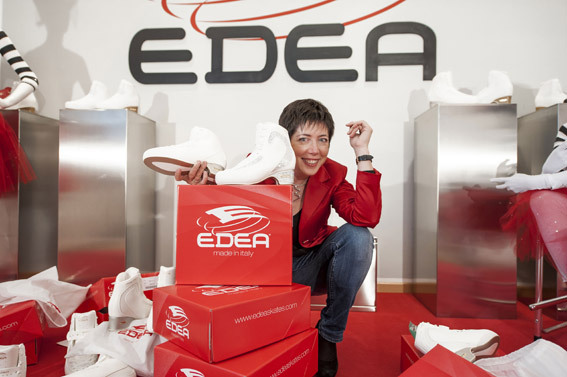 The modern materials and hi-tech design combine to make Edea boots lighter. Lighter is faster, Lighter is higher jumps, Lighter is longer jumps, Lighter is more air time, lighter is better acceleration lighter means better skating, lighter means Edea. Everything at Edea is done at our factory in a little village at the foot of the Alps. From drawing board to ice rink our work is driven by passion, innovation and design. 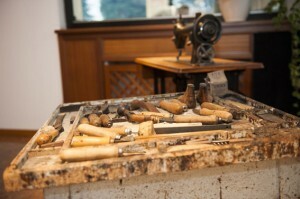 Being Italian all our boots come with built-in elegance while family history ensures the highest quality in every boot. You buy our boots knowing they’ve been cared for from the drawing board until they are placed in the box to be sent to the shops. Like skaters who push the boundaries and crate new bests, skating technology and boot design are always moving on as new materials are added to our resources. At Edea we are always pushing the limits. We are continually researching developing and testing: striving for perfection. Being the most innovative skate producer in the world is good but staying the best is our mission. At Edea we will concentrate on the skates so you can just worry about your performance.